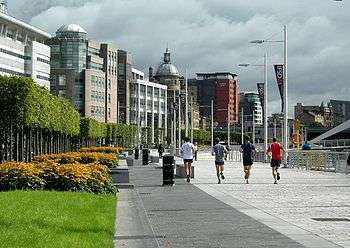 Prior to the launch of the IFSD in 2001, the long-term decline of the old Port of Glasgow and its associated wharves and warehousing had resulted in a neglected infrastructure in Glasgow’s city centre area fronting the River Clyde, otherwise known as the Broomielaw. The result was a small number of isolated modern offices, standing adjacent to derelict land and vacant dilapidated buildings, loosely connected to Glasgow's traditional core business district centred on Blythswood Square at the western end of the city centre. 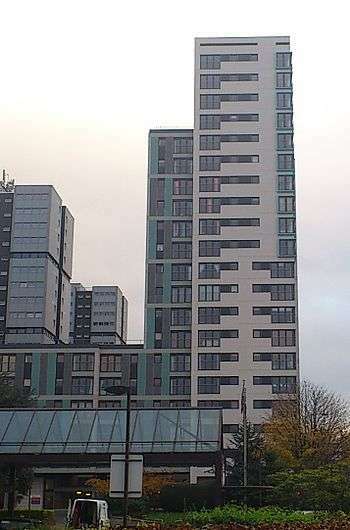 No official boundary of the IFSD exists; notionally the term refers to the approximately 1 square kilometer area of the city centre bounded by the M8 motorway to the west, the River Clyde the south, Hope Street to the east, and Sauchiehall Street to the north - taking in most of Blythswood Hill, the south eastern fringe of Anderston and part of Charing Cross. This has given rise to the area's nicknames in the popular press the Square Kilometre (in reference to the "square mile" of the City of London), and more the popular and widely used Wall Street On Clyde. The IFSD is connected by five National Rail stations, with routes that reach regionally and nationally. Glasgow IFSD (2010) Glasgow International Financial Service District, Website, Available from: http://www.ifsdglasgow.co.uk/Completed_Property.aspx.